CAP Talk | General Discussion | Uniforms & Awards | Topic: New AF Service Coat? Reddit rumor is that this is supposed to be the direction of the new service coat if the field likes it (without the extra Honor Guard flair of course). I love it, and will gladly retire my old one as soon as this one becomes available (and authorized for CAP). Re: New AF Service Coat? What uniform coat is that in the picture, and what color is it? It's hard to tell in the picture if it's dark navy, charcoal, black, etc. The stripes at the cuff resemble the Army dress blues before the blue uniform became the class A. The "Tony Nelson" coat was the shade 1084 I wore as a cadet - the bottom pockets were on the outside. This looks like the coat we had just prior to what we have now, but in a darker fabric. The darker fabric IS just for honor guards, which means just going back to the previous coat, only in the current shade 1625. Which I would be totally happy with. USAF Honor Guard. They have all that stuff on there, sewn in creases, etc. required by reg. Silver braid down the pants, extra silver trim on the service cap, different cap device, etc. 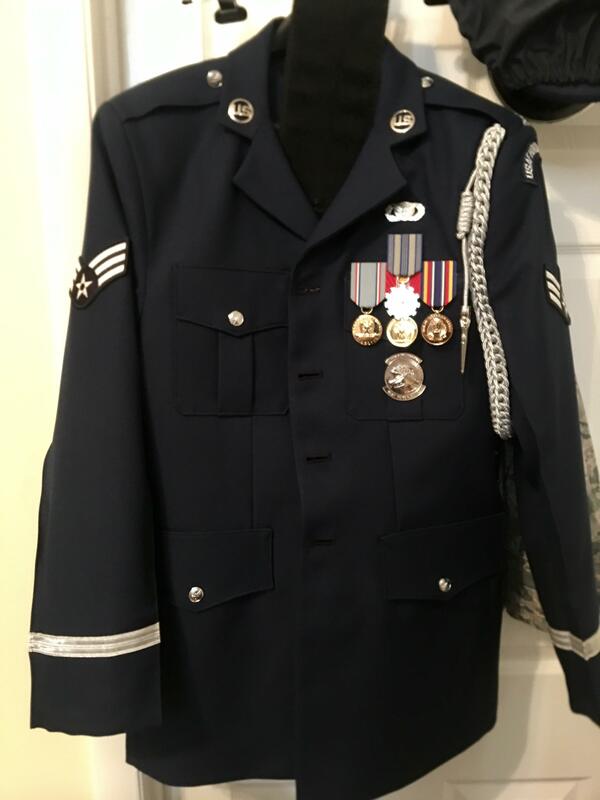 The current honor guard uniform is all thats left of the "Informal Black" which was the USAF equivalent of the army dress blue. When the regular service blue went to the McPeak style the honor guard didn't change and kept the style of the existing coat. Which unfortunately leads me to believe that this is just a wishful thinking rumor. Really? The uniform that is in the photo was called the Mitchell coat. Wanna venture a guess as to why? As a replacement for the service coat, which it was intended for, it was a bit much for everyday wear. I can't imagine a CSAF wearing it to testify before Congress alongside the other JCS members. As a separate dress uniform, maybe, but the last the the AF needs is additional uniforms. And when was the last time the AF had that as a uniform? Heck, when was the last time the Army had that as a uniform? Doesn't really matter, as it has "long been a part of their history". Do you happen to have a source link for that thread? I'd be curious to see it in context. Long been a part of the history is not the same as "was a part of the history a long time ago." So one of the responses on that thread is "Last I heard the idea was to have the AF HG wear it and see what the rest of the Force thought and if it was liked we'd switch"
I don't recall a time when AF leadership cared about what the members thought of a possible uniform change. 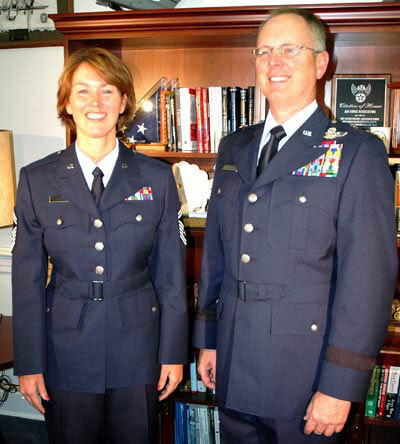 I was in during the McPeak days and saw the dress uniform go from military to USAir pilot. Well the timeline is pretty solidly right pre-McPeak uniform. Page created in 0.273 seconds with 27 queries.